The date has been announced in a UK policy paper on citizens’ rights in the event of a no-deal Brexit. UK nationals will also be allowed to bring in children who were born overseas after exit day. 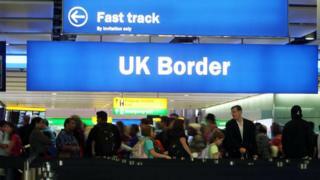 Standard immigration rules will apply to relatives brought in after the cut-off date. The right to accompany a UK national will apply to existing non-British children, spouses, partners, parents and grandparents. The document specifies they will qualify for entry under the post-Brexit settled status scheme until 29 March 2022, whether or not there is a Brexit deal. It added that the new date would “allow families to plan with confidence”, and responded to “concerns” expressed by UK nationals. How do I apply for ‘settled status’? The right to bring in family members until March 2022 had already been granted to EU citizens with settled status in the UK.